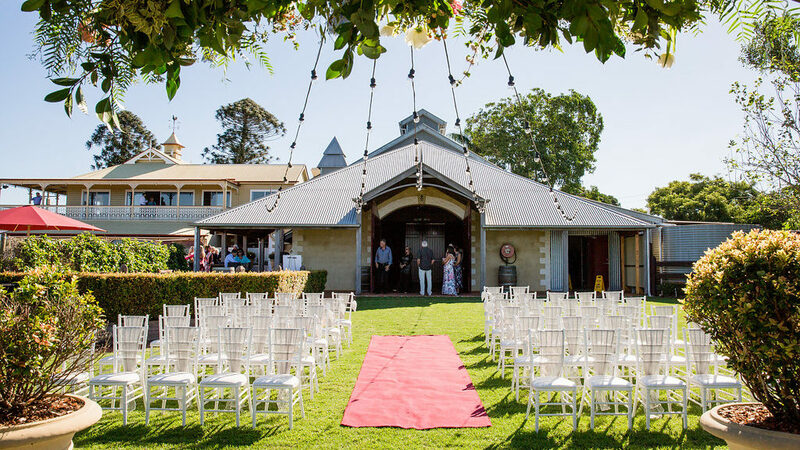 Dreaming of the perfect wedding in a dreamy Sunshine Coast Hinterland location? 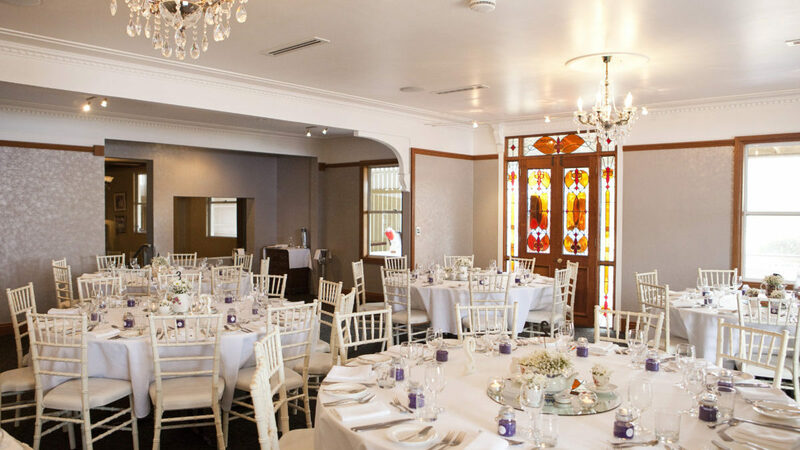 Our Weekend Weddings (Friday – Sunday) are what you are looking for! With pricing starting from $140.00 per head for The Vineyard Restaurant and $160 for The Winery, this is inclusive of ceremony fee, room hire, decorations, and fully hosted by caring, professional staff. Just select your favourite wedding suppliers to complete your dream day! Weekend Winery Weddings are suitable for guest numbers seated from 60 to 160 and Tapas style 60 to 350. From $160.00 per head, you have use of the elegant Escarpment or country-style Arbour Area for your ceremony. This is followed by canapes on the terrace with ocean views whilst your guests mingle and you have bridal photography. The banquet-style Winery (for the reception) is acoustically-lined with reverse cycle air conditioning. Our luxury Apartment which sleeps 8 (valued at $800.00 per night) is also included for the wedding date. Weekend Restaurant Weddings are suitable for guest numbers under 60. From $140.00 per head, come and enjoy your reception with us, following your ceremony elsewhere. When guests arrive, they will be treated to canapes in the Restaurant Gardens. While you are having bridal photography, your guest can mingle in the elegant Restaurant Gardens with wine barrels and bar stools setup. The Restaurant, for the reception part of your day, is fully air conditioned and ever-so-elegant. All Flaxton Gardens accommodation is optional to take where available. "I have wrote a review on Facebook and trip advisor and I honestly can't sing your praises enough! I would like to make a special mention to both Sam and Melissa for all of their help in the lead up to the big day. And of course all of the staff there on the night who made it so incredibly special. I'm so thankful that we chose Flaxton Gardens! You guys are incredible and feel like long lost friends. I would love to be a part of your Brides 4 Life Program and look forward to receiving the info over mail. We can't wait to continue to come back to FG as you will always hold a special place in our hearts."